Hey guys, here is the latest offer from MTN which I think I should share with you guys for you to enjoy and download as you like. Hot: Check Here To Get Unlimited Data Easily in 2019 On MTN, Glo, Airtel, 9mobile(Etisalat) Don't miss!! So, what are you waiting for?? Recharge now and subscribe to Mtn 5GB with just #3,500 and you're good to get free 10GB data which will valid for 30days (1month). 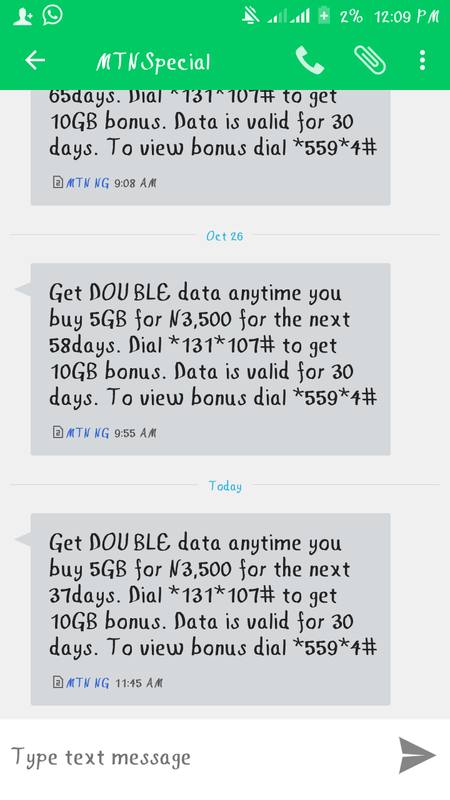 After subscribing to the 5GB for N3,500 kindly dail *131*107# to get your free 10GB bonus. Always visit Olexhome for more updates. And where is the "free" when u have to pay 3,500 naira?